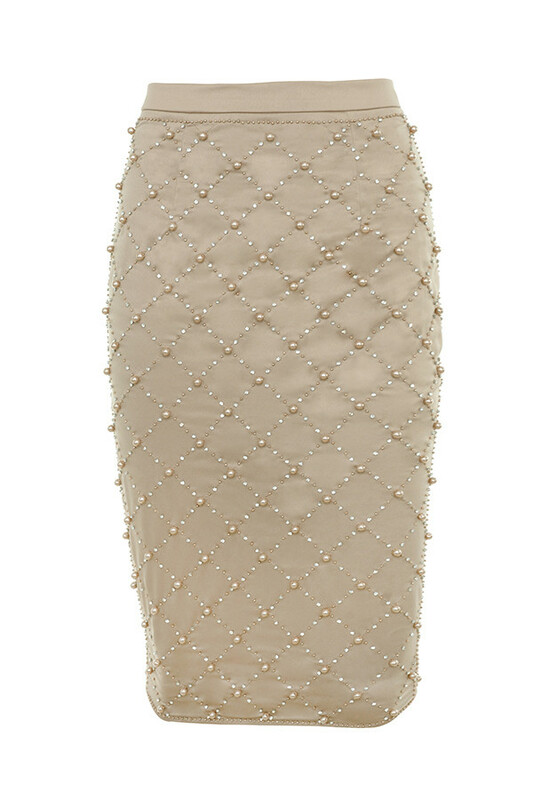 Cut from lustrous satin, this ultra luxe PENCIL SKIRT is emblazoned with sparkling crystals, pearls and beads in a grid design. 'Amira' features a figure hugging pencil cut with deep waistband and cuffs and looks amazing over a tonal bodysuit. The beautiful embellishments on this limited edition piece are handcrafted and as such there may be slight variance in design, making each piece unique. 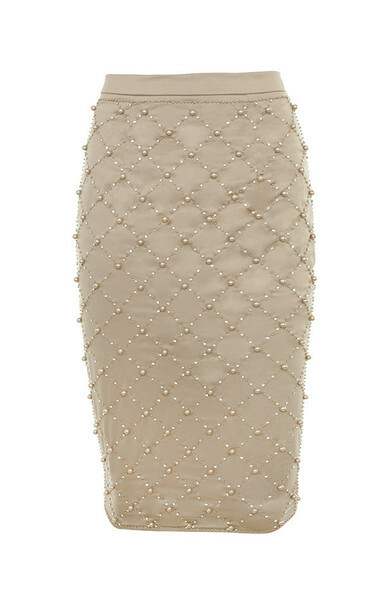 Made from stretch satin encrusted with pearls crystals and beads.